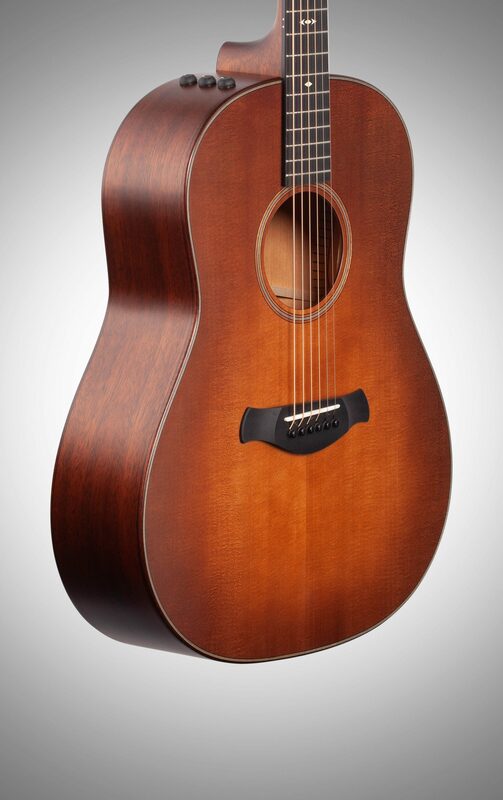 Taylor's new Grand Pacific body shape unleashes a whole new sound in this amazing round shoulder dreadnought. Based on the award-winning architecture of the V Class Bracing, this new guitar design redefines the tonal qualities one might normally associate with a Taylor guitar. Inspired by traditional country and bluegrass recordings, master guitar builder Andy Powers set out to create a guitar that produced a warm and seasoned sound with clear low end power. Andy wanted to create a guitar that appealed to variety of players that captured a sound that was new and familiar at the same time. The waist of the guitar is slightly wider, making notes more round and whole and the guitar embraces lush, sonic overtones with rich fidelity. Notes have longer sustain and more projection, while sounding more in tune. 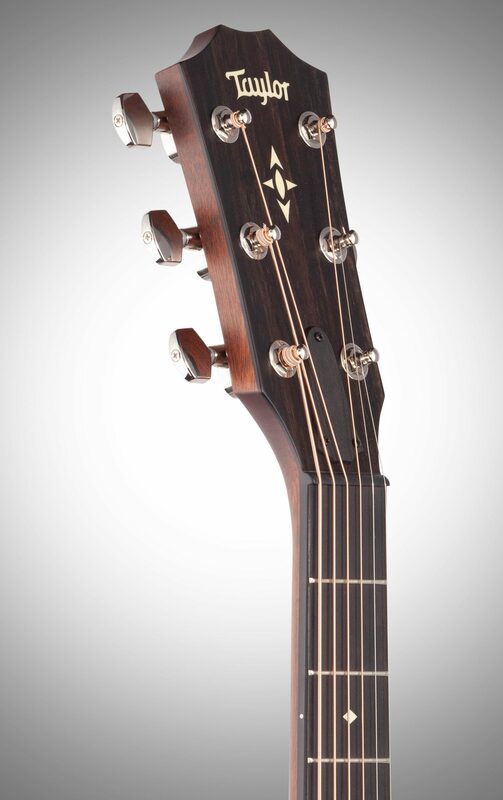 The 517e Grand Pacific Builder's Edition guitar takes the playing experience to a new level. 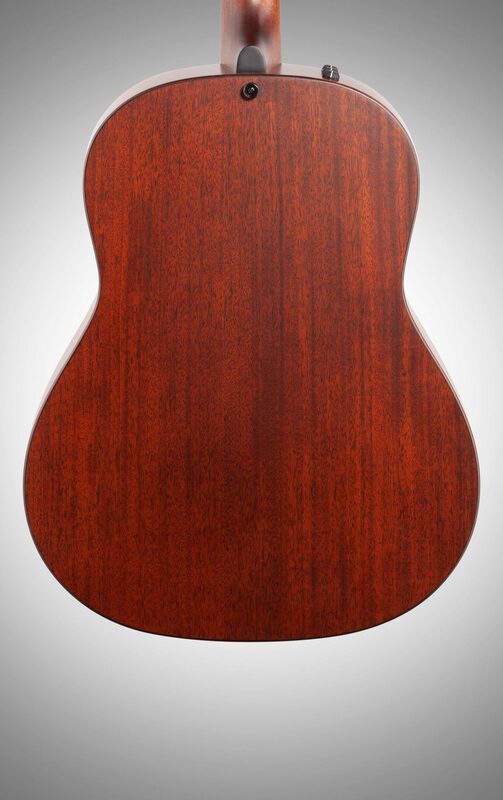 With custom beveled sapele binding, the guitar body offers a smooth feel. Combined with a custom curved bridge, the players right hand will feel more comfortable. 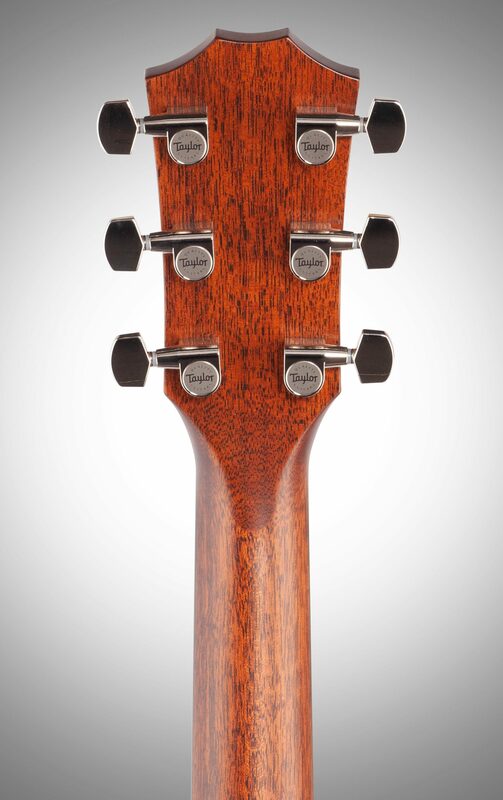 The compound carve neck profile adapts seamlessly with your left-hand movements up the neck, creating a comfortable, natural feel wherever you are on the fretboard. The silent satin finish with gorgeous wild honey burst top reduces body noise while creating a beautifully understated aesthetic. 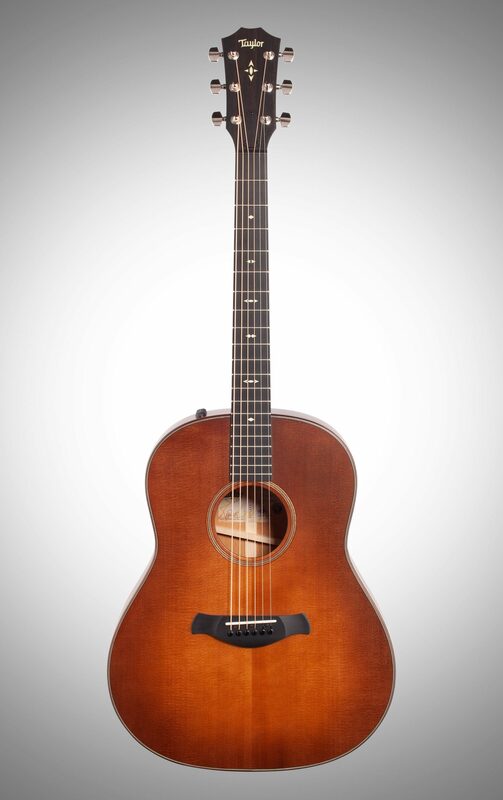 Players of all styles have been blown away by this amazingly versatile guitar that redefines the Taylor experience. 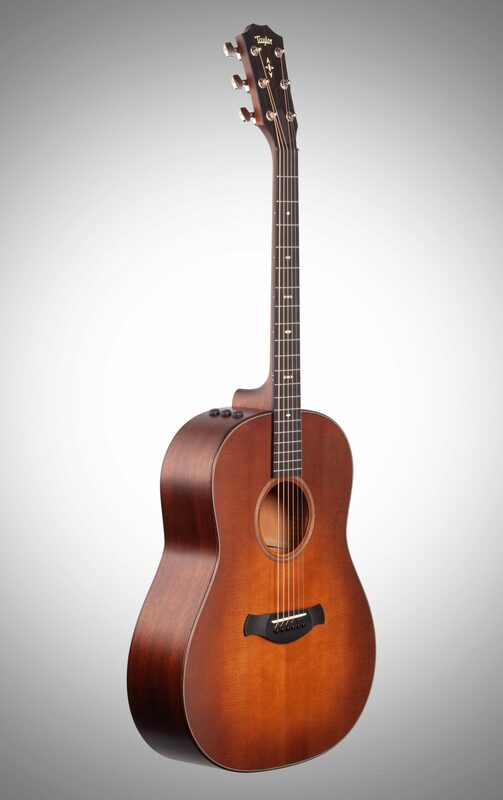 The Taylor 517e V Builder's Edition Grand Pacific Acoustic-Electric Guitar round shoulder dreadnought features Tropical Mahogany back and sides which complement the Torrefied Sitka spruce top and create a sound that's rich and full. 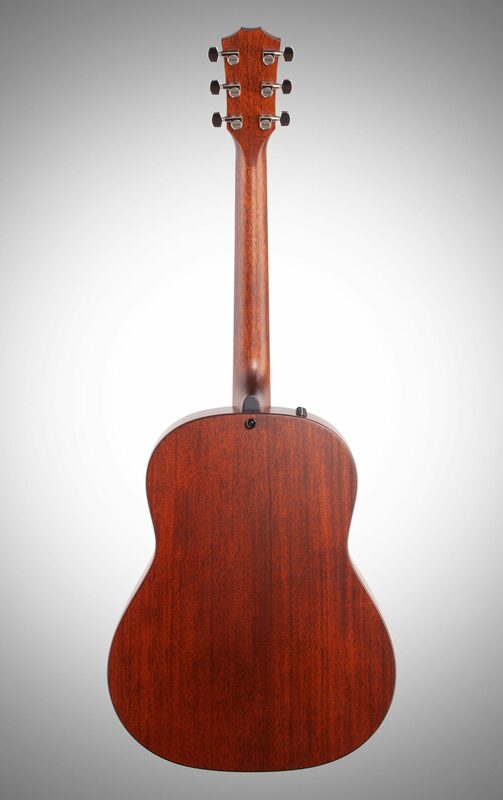 The torrefied Sitka spruce top gives the guitar a little more warmth, like a nice pair of shoes comfortably broken in to add a bit of character and distinction. Sapele beveled edge binding and Grained Ivoroid Arrowheads inlay round out this understated beauty with solid West African ebony fingerboard and bridge. The 517e builder's edition comes equipped with stage ready Expression System 2 onboard, active electronics, and ships in a Taylor Deluxe Hardshell case with Western Floral pattern.